Join us as we create a full-length play in the style of Anton Chekhov based on your suggestions. You don’t have to be a Chekhov fan to enjoy this clever, fun homage to his art and style. The show format follows Chekhov plays like “Uncle Vanya, The Cherry Orchard” or “The Three Sisters” as they paint life by vividly capturing commonplace incidents. We humorously explore Chekhovian themes like mood, unrequited love, apparent trivialities and the internally conflicted psychology of his characters. 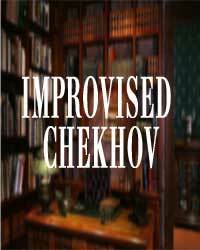 See “Improvised Chekhov” at Unexpected Productions’ Market Theater in Seattle.